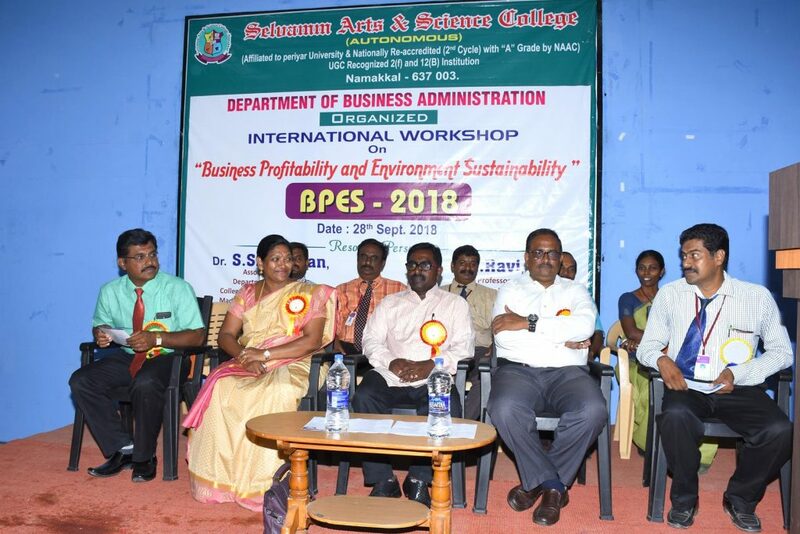 Department of Business Administration conducted one day International Workshop on “Business Profitability and Environment Sustainability” on 28.09.2018 at our college premises. The chief guest was Dr. S.Srinivasan, Associate professor, Department of Economics, College of business and economics, Madawalabu University, Bale robe, Ethiopia gave chief guest address “Environment Sustainability” and how the climate influencing and affecting the business and human life in session-I. 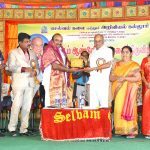 In session –II, the chief guest was Dr. I. Ravi, Professor, Dept. 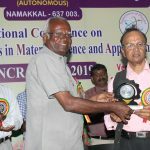 of Economics, Annamalai University; Chidambaram gave special address “Business Profitability” and explained sustained profitability with corporate social responsibility. 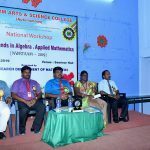 Workshop participants of various colleges, institutions and Industries (Students, Faculties and Industrialists) were benefited. Finally all the participants interacted with chief guest’s and raised many questions related with current issues. The chief guests are explained and clear the doubts of participants. In this work shop nearly 240 participants were benefited. Previous Previous post: Workshop on Embedded System. Next Next post: Practical Examinations Time Table – November – 2018.